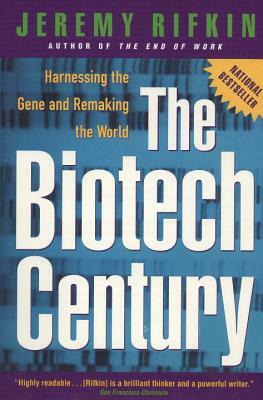 In this seminal book, Jeremy Rifkin explores the epic marriage between computer technology and genetic engineering, and the historic transition into the Age of Biotechnology. Already, Rifkin explains, our economy is undergoing a massive shift away from the Industrial Age and into an era in which giant life-science corporations are fashioning a bioindustrial world.Humanity is on the brink of wielding greater control over the shape of life--how we are born; how our food supply is created; the traits our children may have--than has ever been imagined. But with each step into this new era, we must ask ourselves: At what cost?